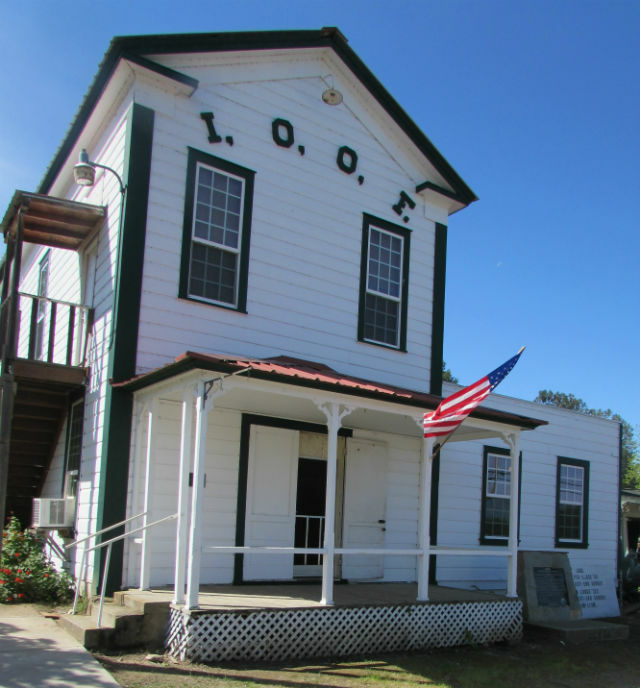 La Grange, CA...The Odd Fellows of Lafayette Historical Lodge #65 remind you of our monthly breakfast, always on the second Sunday at the IOOF Hall in downtown La Grange. Sunday November 13th is the date this month. Breakfast hours are 8 to 11 am, with a menu of biscuits and gravy, sausage, ham & cheese omelets and French toast. Complimentary coffee and orange juice round out the meal, all for $6 per adult, $3 for children ages 7 to 12, 6 and under are free. smaller pools where the salmon jump and cavort in the rushing water. The La Grange Museum is also open Sundays starting at 11 am. The IOOF Hall, vintage 1881 building on the National Historic Register, is the scene of many community events. The address is 30018 Yosemite Boulevard (Hwy 132), just East of the intersection of J-59. For more information call Chris at (209) 853-2128 or email: renwah @ sonnet.com. Event occurs on 11/13/2016 from 08:00 AM to .